Aviation recruitment specialists, JMC Recruitment Solutions, have signed a long-term contract to act as the sole manpower supplier to Storm Aviation. This partnership marks the latest in a string of notable new customer signings for the Exeter-based firm, who this year celebrate their 10th anniversary. This partnership will see JMC Recruitment Solutions providing permanent, fixed-term and contract recruitment support to Storm Aviation’s global operations. Founded in 1996, Storm Aviation is a European Aviation Safety Agency (EASA) approved maintenance and training organisation and operate a comprehensive 24-hour service for more than 40 commercial aircraft operators around the world. Among their extensive portfolio of services, Storm Aviation offer line maintenance, base maintenance, emergency AOG support (Aircraft-On-Ground), cabin services, consultancy and training. 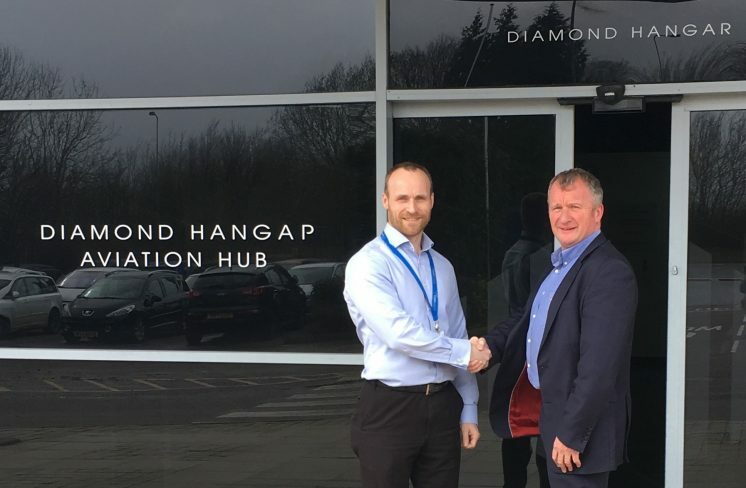 In support of this new partnership, JMC will be opening a new office in the state-of-the-art Diamond Hangar facility based at Stansted Airport. The Diamond Hangar is a purpose built, 18-acre aviation hub, providing hangar space, workshops, fixed base operations facilities for business and private jets, extensive apron areas, storage and office accommodation. Roles available with Storm Aviation will be advertised through the JMC website at www.jmcrecruitment.co.uk, alternatively to confirm your interest in working for Storm Aviation please contact our Recruitment Team on +44(0)1392 268 310.